Piles of cat and dog hair, yes. But would have to be prostrate on the couch to really do me justice. … and yet at this very moment, millions of people are flooding the stores for exchanges, returns, and post-holiday sales. Crazy. I worked hard. I had fun. I’m glad it’s over! Thanks, PiedType! Glad you had fun. 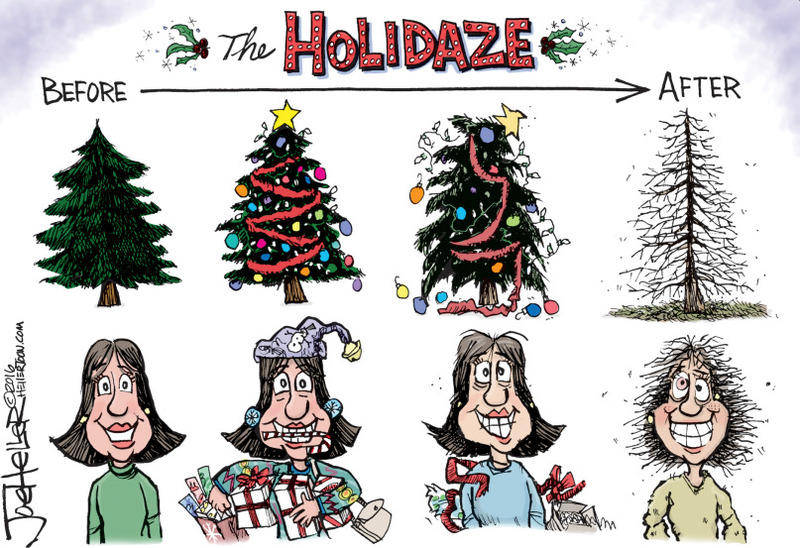 The holidays are anything but fun for a lot of people.